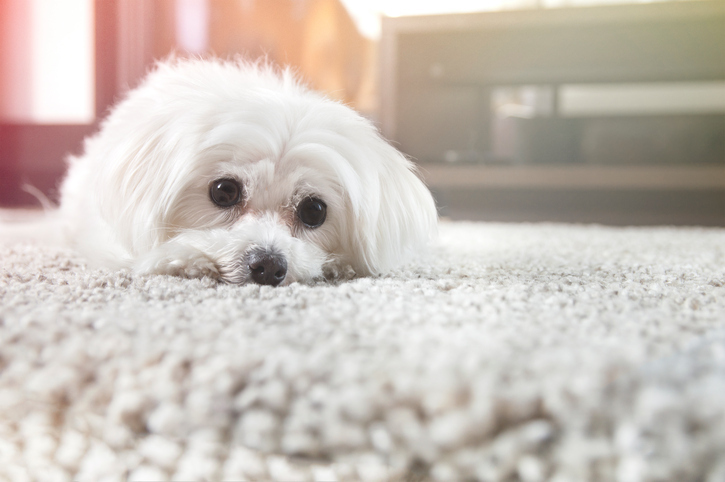 Tangles and mats can be a problem for any dog owner, and it's important to prevent them before they turn into a problem that can only be corrected by shaving the coat completely. Not only does the shaved look not suit most dogs, shaving your dog's coat can also compromise his health and safety. Whether your dog's coat is naturally long, short, smooth or wiry, it serves a purpose. The coat keeps him warm in cold weather, cool in warm weather and dry when it's moist out. The types of functions your dog's coat can perform will depend on a few different factors, and these will also influence grooming. Regardless of hair type, proper and regular grooming is essential to your dog's health and wellbeing. Regular grooming doesn't just keep his hair looking and smelling great, it also prevents tangles that can turn into mats. Let's break down some common dog hair types, and whether or not each is prone to developing tangles and mats you should be aware of. But first, let's take a short detour to discuss the difference between "hair" and "fur". In most instances, these terms tend to be used interchangeably, and that's because hair and fur are essentially the same thing. Well, almost. The difference lies in the growing cycle of the coat. Some dogs make and replace hair quickly, causing noticeable shedding, while other dogs have much longer cycles that replace hair at a less noticeable rate. It's commonly accepted that dogs with long coat cycles that shed less are referred to as having "hair", while dogs with short cycles and more shedding are referred to as having "fur". We can think of "hair" as having hypoallergenic qualities and "fur" as being less so. While all dogs shed, people with pet allergies tend to fare better with animals who shed at a slower rate. That's because the things they're allergic to - saliva and dander from the pet - aren't as abundant with a low-shedding animal. While the term “hypoallergenic” does describe the rate at which hair sheds, it doesn’t actually describe one type of hair look or feel. Breeds including Poodles, Maltese and Schnauzers all qualify as hypoallergenic breeds, even though their hair types are very different. Although a hypoallergenic pet takes some of the work out of owning a pet, with regular grooming and cleaning, you can significantly reduce allergens, whether you have a Yorkie or a Dachshund. 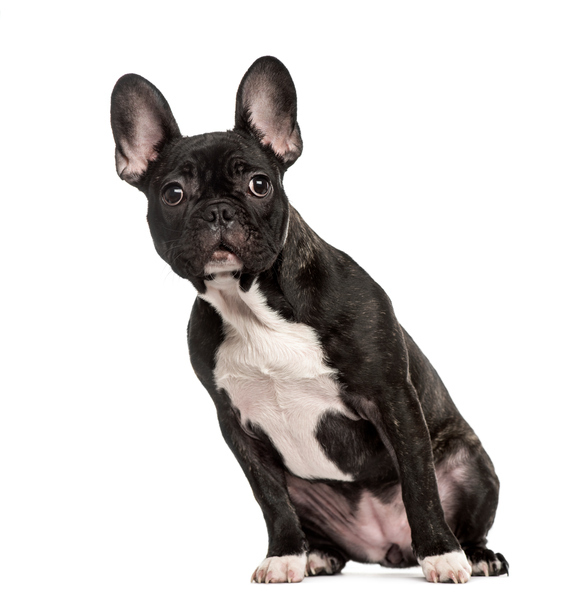 Check out this complete list of low-shedding dog breeds here. Dog coats can be long, short, soft, wiry, thick, fine or a combination of these. But no matter the coat's look and feel, it'll fall into two broad main categories: single- or double-coat. A single coat consists of, well, only one coat. Single-coat dogs lack an undercoat and experience a longer hair growth cycle, which makes them less prone to shedding. However, that doesn't preclude them from experiencing mats and tangles. On the contrary, because of their extended hair growth cycle, single-coat dogs, particularly those with curly hair, really need to be washed frequently and treated for tangles proactively. Avoid shaving dogs with single layer coats, as this makes them much more susceptible to sunburns. Their top coat is all they have to protect themselves from the elements, and even just ten minutes of unprotected sun exposure can result in burns for a single-coated dog that's been shaved. Double coats consist of a top layer and bottom layer, referred to as the "undercoat". The undercoat consists of a denser set of hairs that are designed to provide insulation for both winter and summer months. Many dogs sport an undercoat, including Labradors, Pomeranians, Huskies, Schnauzers, Collies and Corgis. 1. The undercoat assists in cooling, just as it does in insulating. Shaving it robs your dog of his ability to control his body temperature. 2. Shaving a dog with an undercoat compromises UV protection. This can easily expose him to sunburns and even put him at risk for skin cancer. 3. Once shaved, a double-layer coat might grow back improperly. Dogs with an undercoat will need a slicker brush or pin brush for to effectively remove loose hair, and a wide-toothed comb to brush out longer hair or comb out any knots. Let’s break single- and double-layer coats down even further by their other hair characteristics. 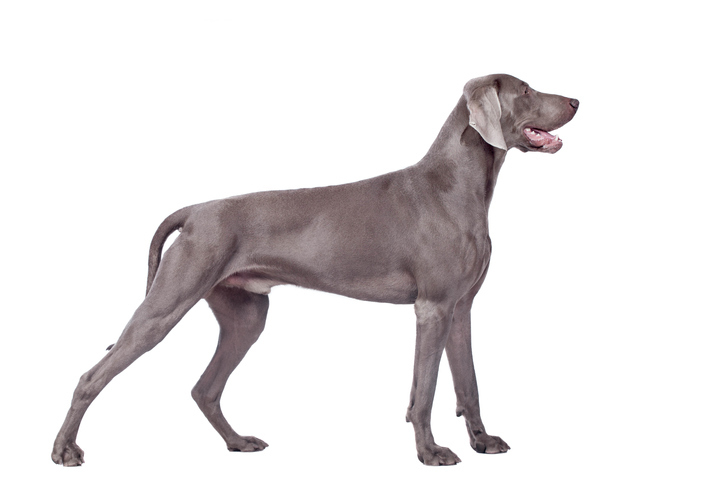 Dogs with smooth coats may or may not have undercoats, however, if an undercoat is present, it's and Weimaraners. While dogs with smooth coats require very little daily brushing in order to prevent tangles, a regular bathing and brushing routine will ensure the removal of loose hairs, debris and dead skin cells. Keeping shedding to a minimum will reduce the incidence of allergies, and prevention with smooth-haired dogs is key since their pointed hairs tend to get lodged in bedding, sofas and other fabrics. People with dog allergies may also notice skin irritations from smooth-haired dogs. Regular shampooing and conditioning will keep your dog's hair soft, unless he has a wire coat. Wire coats, also sometimes called "broken" coats, are intended to be rough and bristly. 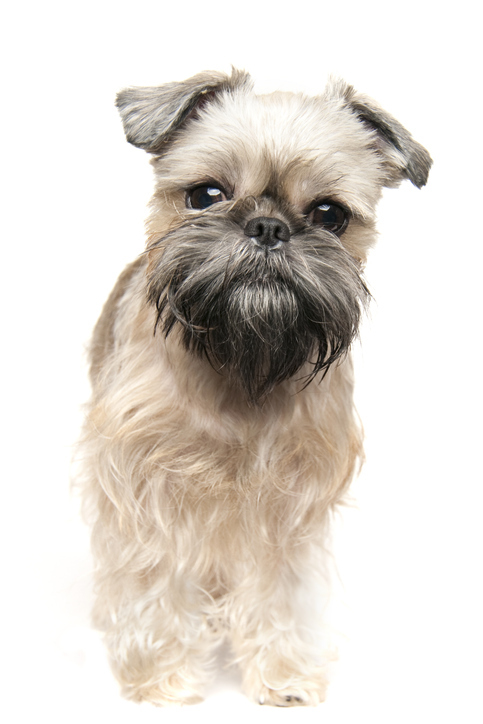 There are a range of common breeds that sports wire hair, including various types of terriers, the Affenpinscher and the Brussels Griffon. Using a slicker brush for wire coats will help to remove tangles and capture any loose undercoat, or you can use a shedding comb for more reach and control. Using de-shedding tools will thin the wiry coat to proactively prevent tangles and mats; brush the coat in layers from the skin outward to get the most out of your grooming sessions. Poodle, or wavy and soft, as is the case with Portuguese Water Dogs. While these breeds don't tend to shed much and are therefore considered hypoallergenic, some of them do have an undercoat that's prone to tangling. Regular brushing is essential for all curly coated breeds, whether they have an undercoat or not. 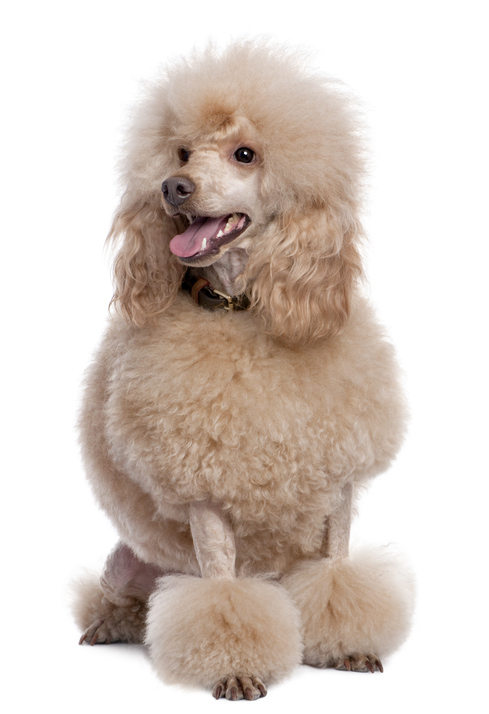 Gently using a slicker brush will remove excess undercoat hairs, while also preventing inevitable tangles from forming. If your curly dog has tangles, use a de-matting comb in combination with Knot Anymore detangling spray to make brushing easier and much less painful for you both. To maintain curly hair and keep it soft and manageable for daily brushing, give your dog the royal treatment! Our Royal Treatment shampoos and conditioners contain gentle detanglers, botanical moisturizers, and Moroccan Argan oil. Try the Royal Treatment repair masque for one of a kind deep-conditioning that's designed to rebuild your dog's coat from within. Using a blow dryer to fluff the hair outward to shape it will keep your dog's look fresh for longer. The term "long coat" can encompass a wide range of dog hair, from coarse to silky; double and single. What ultimately makes a long coat long is that is drops from the body. Picture the Maltese, the Aghan Houd or the Lhasa Apso. Long-haired dog breeds can make grooming more challenging, particularly with the wrong products, but there's simply nothing more luxurious and attention-grabbing than a stunning dog with a gorgeous mane. To keep your dog's coat long and beautiful, proper and regular grooming with high-quality products is absolutely essential. Our selection of SHOW Premium shampoos, conditioners, detanglers, masques, keratin and silk treatments were designed after years of our personal experience with inferior products that led us to question not only the efficacy but also the safety of many bath products on the market. We sought to create products that provide the same results you've come to expect from your own line of hair care, and vowed never to sacrifice our commitment to using 100 percent non-toxic ingredients. Brush your long-haired dog with a pin brush to prevent hairs from splitting and thinning, and a slicker brush or detangling comb to systematically brush the hair in layers from the skin out. Leash aggression is something every dog owner should be aware of. Many dogs are prone to developing leash aggression, oftentimes arising innocently enough but then quickly developing into a full-blown problem. 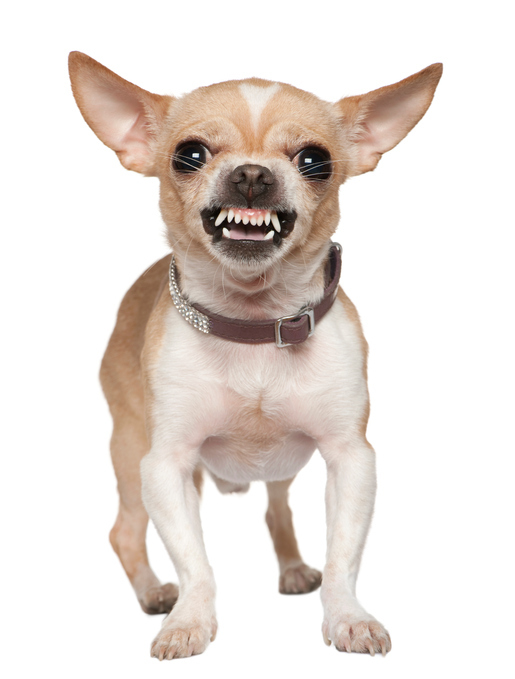 Leash aggression occurs when your otherwise friendly dog becomes reactive when he or she is placed on a leash. 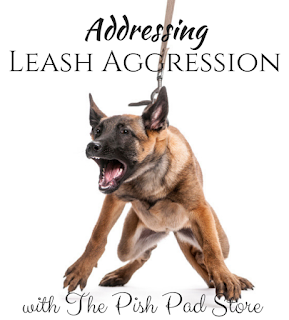 Leash aggression is a symptom, so it's important to treat it at the root rather than trying to correct the behaviors themselves. Common behaviors include lunging, growling and barking, and sometimes even biting. Treating the problem starts with you, the owner. Ignoring leash aggression or punishing it will only make this problem much worse. Your best plan of action is to arm yourself with the proper knowledge and execute good training tactics from the beginning. To start, let's discuss why leash aggression develops; why do otherwise perfectly good dogs sometimes become a nightmare on walks and other outings? Puppies normally don't start out leash reactive, and that's because aggression develops out of repeated exposure to negative and intimidating experiences that cause fear and anxiety. While dogs who are naturally more anxious or territorial tend to be more prone to being reactive, puppies who aren't socialized or trained properly frequently also develop leash aggression later in life. What starts out as innocent puppy play such as nudging or licking ultimately stops being tolerated by older dogs. Just as we'll forgive a noisy newborn but will scowl at a screaming toddler in public, older dogs eventually expect good behaviors from dogs. When young puppies grow up with older dogs, they learn good manners naturally. However, in households where puppies aren't consistently taught acceptable behaviors, such as not lunging at dogs they don't know, they neglect to grow out of those bad habits and ultimately are met with annoyed aggression from other dogs. While the owner of the friendly dog who "just wants to play" might instinctively blame a reacting dog for his or her aggression, it's important to realize that it's the friendly dog without control over his behavior who initiated trouble. 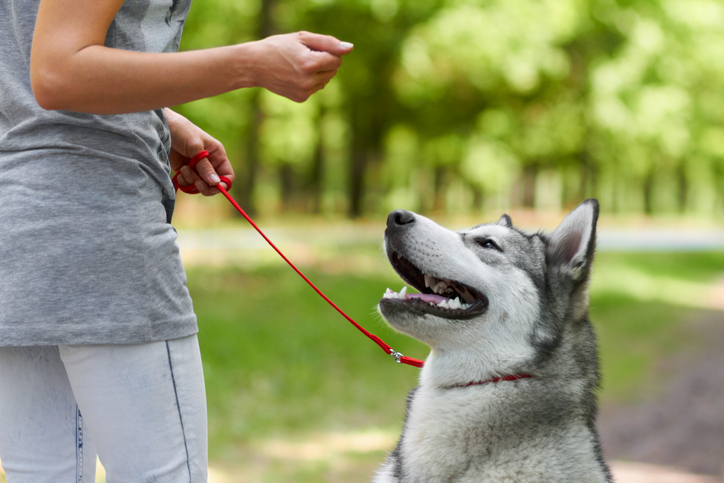 This important realization won't only help you to avoid aggression from other dogs, it will also ensure your friendly and playful pup doesn't himself become leash aggressive. 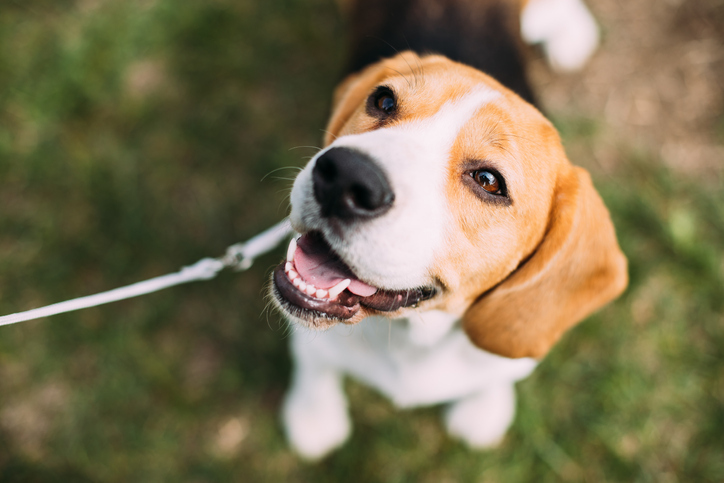 By saving your otherwise friendly dog from repeated exposure to stressful situations in which other dogs react negatively, you'll be able to avoid turning the leash into a source of anxiety. The more your friendly (and unknowingly "bad") dog meets an aggressor while out on walks, the more likely he will be to begin to associate his walks with fear and negativity. Letting this continue will eventually create a negative feedback loop that will evolve and become more severe if it's allowed to continue. If you have a puppy, off-leash play with other dogs will teach your puppy his manners, letting him know what is acceptable behavior and what is not. When dogs meet naturally in their own environment, they will greet one another by approaching at a slight arc. 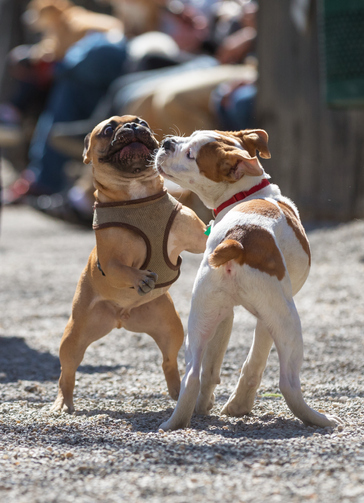 Dogs will sniff one another for a few seconds and then generally move on to something else; they'll walk away or perhaps try and initiate play. But as you walk your dog around the neighborhood, that natural meeting pattern is replaced with a head-on confrontation instead. Since this approach can be associated with aggression, simply meeting a dog in the street can become a great source of anxiety for some dogs. This is particularly true for dogs who are naturally more insecure or anxious. 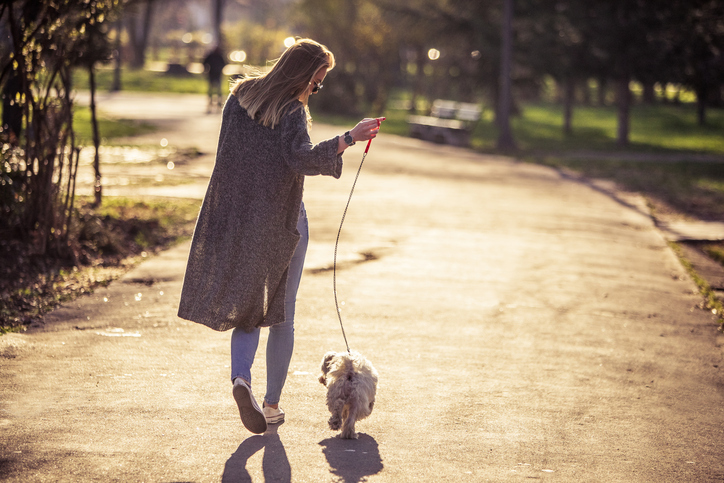 In some cases, walking your dog can result in a head-on approach that lasts for minutes, depending on how long the street is and the speed at which both dogs are walking. Such a prolonged unnatural way of meeting can make even a calm dog reactive. of aggression, a small problem can quickly snowball into something severe. An anxious dog exhibiting distance-increasing behaviors may start out simply changing his body language, but soon he's growling, barking or lunging because that first sign of inappropriate behavior was never properly addressed. But don't give up; even if you're dealing with a dog you've come to dread walking, there's still plenty of hope. With the right amount of dedication and persistence, you can undo even deeply ingrained habits. To change your dog's behavior, it helps to think of his actions as a feedback loop. Your dog's reaction to other dogs, people or cars, strollers etc begins with a cue: seeing the thing that causes anxiety. Once the cue has occurred, your dog is ready to spring into action. He'll perform a behavior that he's learned will get him a reward. In this case, the behavior refers to his barking or lunging, and his reward is that the other dog eventually goes away. When reprogramming your dog's behavior loop, you'll almost certainly not be able to remove the cue. Even if you completely isolate your dog at home, he'll invariably be exposed to something that makes him anxious. What you can change is your dog's behavior. To do this, you'll first need to become aware of the cue, immediately as it happens. This can be a difficult step for many dog owners, because it requires you to pay close attention for the duration of your walk. Distractions such as glancing at your phone or even just daydreaming can cause you to miss important cues, taking away your training opportunities. If you have a dog who's progressed to a point where you feel out of control while walking him, we strongly recommend you begin your training at home, away from other dogs or anxiety-inducing objects or noises. As you progress, you can begin to introduce short walks and extend them over a period of time to help your dog advance. If at any point you feel like your dog is not advancing or taking steps backward, you've probably introduced too much too soon. It takes time to undo learned behaviors, so don't rush this process. In order to create a new habit for how your dog responds to cues that normally make him anxious on a leash, we'll be using high-value treats. Treats work for almost any dog, but if you happen to notice your dog responds more positively to a toy rather than a treat, use a toy instead. High-value treats are anything that will motivate your dog to perform an action to claim his reward. Training treats are a great option, but bits of a hamburger patty or a hot dog are generally a favorite as well. 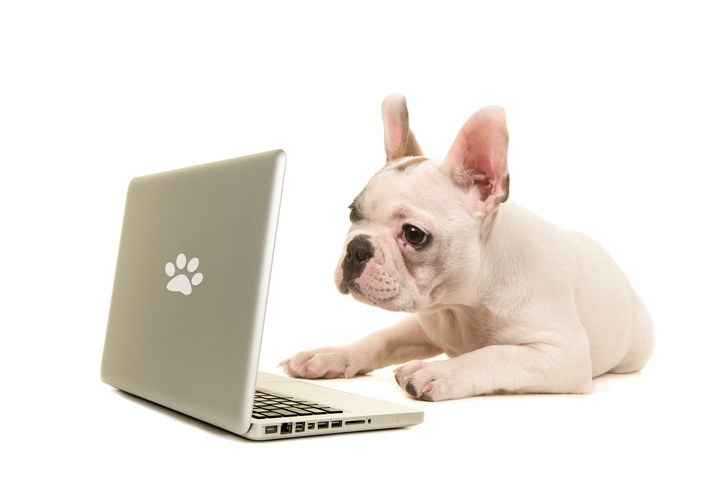 We'll be using our high-value treats to redirect your dog's attention to you once a cue occurs. For some dogs, the cue is seeing the dog a block away. For others, the cue occurs when the dog is 10 feet away. This process it time sensitive, however, we promise that once you really begin to focus on the walk and your surroundings, it'll become second nature for you to recognize even your dog's smallest shifts in body language. The goal is to get the treat to him after the cue but before he has the time to react. We recommend using a harness that gives you easy control of your dog. Try a no-pull harness that clips in the front as well as the back. Avoid collars, particularly those that add other stressors to the mix, such as choking or pinching. 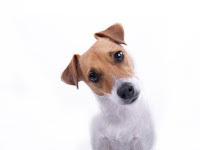 Once your dog notices a cue, such as a dog or a stranger, it's time to create the redirection. Using only your voice (no jerking or pulling), see if you can get your dog to look at you. The second he does, treat him. This method not only redirects your dog's focus, it also teaches him that the things he fears actually have a positive correlation. If your dog can't be redirected, the value of your treat may just not be high enough. However, it's also possible that too much is simply happening too soon; avoid heavily trafficked areas and streets that are narrow or closed to keep your dog from feeling trapped. If your dog doesn't respond to you even in calm environments, practice redirection at home when he is already relaxed. Using a verbal cue such as "look at me" is a great way to train your dog to focus in your direction even when you are not carrying treats with you. Practice "look at me" at home the way you'd practice "sit". Start in a quiet room where there are no distractions. Keep training sessions short, as they are mentally taxing. When teaching your dog new behaviors, trust is key. Many people have a difficult time breaking the negative feedback loop because they themselves are anxious and take preventative measures such as tightening the leash or forcing the dog to sit or lie down as the "threat" passes. While this is understandable, it's important to realize that just as your dog has formed bad habits based on specific triggers, so have you. In order for the process of retraining your dog to truly work, you also have to change your own habits. Tensing the leash, aggressive talking or forcing your dog to submit to what he perceives as a threat might make you feel more in control, but these things actually only reinforce your dog's anxiety. Most likely, he will try even harder to keep other dogs away to avoid such trauma. Trusting yourself and your dog will help you to create a calm environment in which positive training is possible. Again, if you cannot relax while walking your dog on your regular route, simply choose a more quiet place and continually reinforce "look at me" in the comfort of your own home. Dog training takes time, but the results are hugely rewarding. Remember that your dog's aggression is the result of fear and insecurity, and these are feelings you can change by giving him the tools to be more calm and confident. Start small and don't push your dog farther than he's ready to go. Under no circumstances should you punish your dog for failing and becoming reactive; rather, be proactive in your training and take responsibility for each step in the process. Socialization is an important part of dog training. Depending on the circumstances, it can start in puppyhood or later in life, but without it, you might be facing an uphill battle when it comes to forming a lasting partnership with your dog. While dog behavior is ultimately a vast and complex topic, here we've broken down four basic socialization tips for you and your dog to follow. So sit, stay and read. Consistency is key to achieving just about anything in life, and that’s no different for socialization or dog training. Think about how difficult it would be for you to learn the piano if your instructor only showed up once a month and used a different set of music terminology each time. Most dogs are eager to learn and interact with you, however, dog training isn’t a one-and-done deal. Consistency isn't just about your dog's behavior, it's about yours as well. Making sure your dog gets plenty of exposure to other dogs and humans is critical to proper socialization. While your dog may always bark at the mailman for interrupting nap time, we encourage you to purposefully create an environment in which your dog can practice being a good boy or girl often and regularly. Socializing your dog is all about linking positive associations to desired behaviors. While dog training can certainly be frustrating at times, it's simply not possible to elicit positive responses from negative reinforcements. Your dog's behavior is a direct reflection of your training. 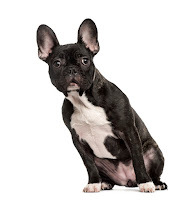 A difficult dog isn't "doing it on purpose" or "out of spite"; aside from a few selective genetic traits, your dog simply isn't preprogrammed. To get the most out of any training, couple consistency with reward. The best time to start socializing your dog is now. Whether your pup is just a few months old or you'd like to get an older companion accustomed to friends, family or guests, the sooner you can begin the process the better. Your dog isn't born with the skills he or she will need to become an ideal companion, however, thanks to centuries of selective breeding your dog already possesses the potential. It's your job to unleash this potential, through consistent training and positive reinforcement. Most dogs you'll encounter throughout your lifetime will fall into this category. But just because your dog is already eager to meet other dogs or humans, doesn't mean he or she won't require socialization training. Let other dogs tell your dog or puppy "no"
Some dogs are just born worriers. You can't change your dog's personality, but you can help these traits not turn to fear or aggression by intervening early on. Dogs are doers. From sniffing out bombs to getting your slippers, all dogs are willing and capable to some extend in this department. Of course, training for the job requires work, diligence and patience; a well-trained dog isn't born, he is made. But don't worry: it doesn’t take complicated jobs such as leading the blind to keep them busy and engaged. You can build your dog's confidence simply by making him or her wait before eating or going outside, letting your dogs carry their own pack while hiking or teaching easy retrieval and release skills. No matter how you choose to approach it, praise will be a key component to your success. Some dogs prefer eye contact and pets while others want to go straight for the ball or the treat. How you praise your dog is up to you, but it's important to remember that all accomplishments - no matter how small - deserve and require your praise in order to instill a sense of well-being and confidence in your dog over time. Finally, don't push your dog into scenarios he or she is not comfortable with. 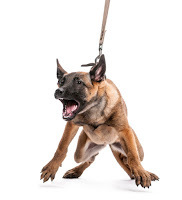 You've probably heard differing opinions on this, from "don't coddle" to "sink or swim", but we're here to tell you from years of experience that if your dog feels threatened, fearful or insecure, you cannot remedy the situation with force. Your dog might never be a social party girl; the goal of socialization isn't to create a new personality for your dog, it's to ensure that your dog is capable of stepping out into the world without trepidation. Take your time, assess your dog's mood by observing his or her body language, and let them walk away or even hide if they feel like it. Over time, with repeated exposure and positive reinforcement, your dog will emerge from his shell. Sometimes, dogs become aggressive. You might adopt an aggressive dog or raise one on your own. Aggression is an avoidable and treatable behavior that's affected by early socialization, training and genetics. There are various types of aggression that can occur, most of which are the result of fear and insecurity. Early intervention is your best bet to avoiding aggression, but if you're already dealing with an aggressive dog, there are still various things you can do to correct this behavior. A very common type of aggression, even in typically good-natured dogs, tends to be leash aggression so let’s discuss this in more detail. The reason leash aggression occurs is because it creates a sense of insecurity for your dog. Facing another dog on a leash places your dog into a position he or she wouldn't normally be in when a friendly greeting occurs. Your dog doesn't know he should simply chalk up this awkward direct face-to-face contact to the leash, and instead tries to distance himself from the situation by exhibiting warning signs such as growling, barking or lunging. To make matters worse, there's often a well-intentioned but misguided owner on the other end of the leash. As dogs approach one another, you might notice a shift in body language such as lowered tail or flattened eats. Your response? Your instinct tells you to tighten the leash, but this actually reinforces a feeling of tension to further increase stress in your dog. How do you stop aggression? Training while at home ensures that your dog is able to give you his or her undivided attention for extended periods of time. Teaching your dog common commands such as sit or lay down in a non-threatening environment will help you to apply these skills more naturally when things aren’t so relaxed. While ultimately the goal is to help your dog understand he doesn't have to be aggressive on the leash, setting realistic goals will help you both to stick out this process. If you normally walk during doggy rush hour or your regular route just happens to be a thoroughfare for other animals, think about what you can change to limit exposure to other dogs. You want to be able to encounter a few dogs in each walk, in order to begin retraining. 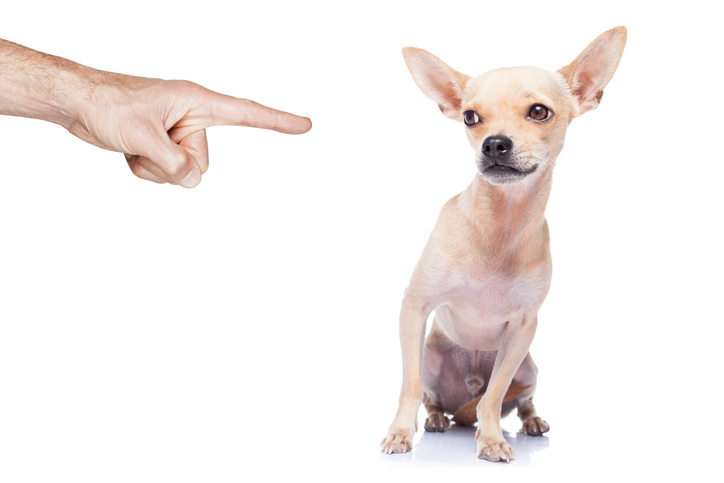 Remember that jerking the leash, yelling or other forms of punishment will create an even more negative association, so you should never punish your dog in an effort to correct his aggressive behavior. Using a treat reward while walking is easy, but you must pay attention. If you see your dog notice another dog, provide a treat before he or she has time to react. Continue to give treats until the dog has passed. You may need to redirect your dog's attention entirely, by turning him away from other dogs as they pass. You can also walk around other dogs in a large arc to avoid head-on contact. If your dog is clearly agitated or acting aggressive throughout this process, you’ve demanded too much too soon. Try observing dogs from afar for a while. Teach your dog to “speak” and he'll still just be barking. While your dog may become verbal in order to communicate, much of how your dog actually speaks is conveyed via non-verbal body language. Learning a dog's body language is a valuable skill that'll help you provide proper socialization while avoiding common mistakes new pet owners make. If your dog shows signs of irritation, fear or aggression, intervening with distraction and positive reward will help you to mitigate a potentially dreadful situation. Your dog provides many cues to you throughout the day, from making eye contact while cuddling to play-bowing as you chase him around the yard. Some cues can be much more subtle such as a raised eyebrow or a quick head tilt. This helpful chart from Canine Strategies displays 15 common, yet oftentimes misinterpreted, body language cues you should be aware of as you socialize your dog. Keeping your pup's tail, eyes, ears, mouth and overall posture in mind when making proper introductions at home or while out will allow you to quickly intervene before problems have the chance to arise. We're often asked about doggy nail care, so we thought it best to compile a blog article covering your most frequently asked questions. 1. Should I use a clipper or a nail grinder? Ah, the age-old question: Which tool is best for the job? In this case, it's not so easy since each of these tools have their own pros and cons. Which tool you choose should ultimately depend on whether the pros can outweigh the cons for your particular situation. Fear not, you can master both of these tools with a little patience and diligence. Just like anything else worth doing, clipping nails takes time and practice. After all, it's a new skill for you - and your pup. The scissor clipper is probably what's best known to you. You tend to find these clippers at most pet stores and everywhere online; scissor clippers are very low-maintenance and come in a variety of sizes. They don't require sharpening, and because they can apply a large amount of force, they can cut through thick nails on large dogs pretty easily. together in a scissor motion, the guillotine uses one blade that comes down straight in order to get the job done. These clippers are really only recommended for small dogs since you can't apply as much force with them, and the guillotine blade does need to be replaced regularly. Both styles of clippers are highly affordable, under $15 on Amazon. When buying tools for dog grooming, saving a few extra dollars by going with a less reputable brand simply isn't worth it. We recommend the Safari clippers for small and large dogs, and the Resco guillotine clipper for your smaller companions only. Scissor clippers need virtually no maintenance. Guillotine clippers should have their blades replaced. All clippers have the potential to dull so it’s important to replace your tools if you notice difficulty cutting or nail splintering. These small tools will fit into any bag or side pocket for travel, and can be easily stowed away in a small bathroom drawer. Not many things you'll buy for your dog over the course of his or her lifetime will cost you under $20. Nail clippers don't require a big investment and are affordable to replace. With a snip-snip-snip, you're done and done. 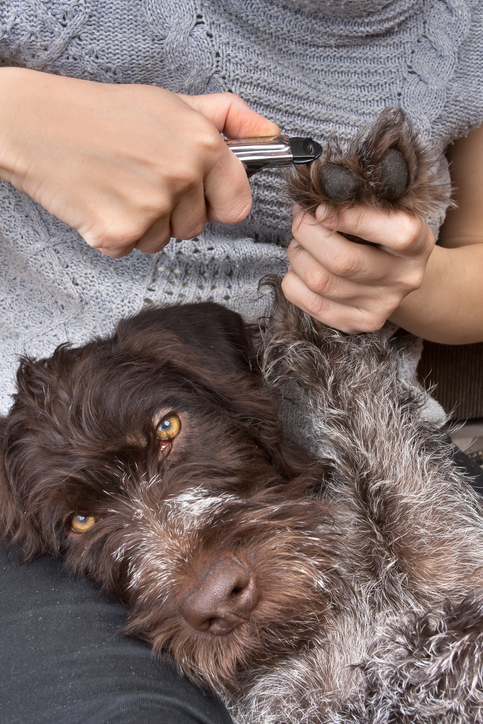 Nail clipping isn't a time-consuming task like most other grooming procedures. The quick lives inside your dog's nail and it's filled with many tiny nerve endings and blood vessels. We often hear from dog owners who've accidentally clipped into the quick, resulting in bleeding and crying. More on this common issue below. It's also very easy to pinch the quick, even if you don’t cut it, when using clippers. This is why your dog tends to pull back as soon as he sees the clippers come out. As you're cutting your dog's nails, you shouldn't find any splintering or breaking but sometimes this does occur. The most common culprit for this issue is a dull blade. 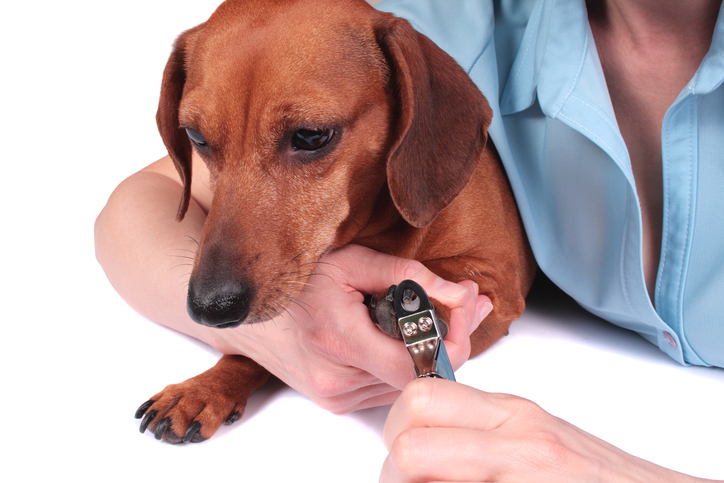 A dremel, or nail grinder, is an alternative tool for trimming your dog's nails. Dremels are most commonly used for sanding, polishing or sharpening, and they can pack quite a powerful punch. A dog nail dremel such as this one is intended to provide a safe and effective alternative to clipping with rotations up to 13,000 RPMs (professional shop dremels can easily rotate at 35,000 RPMs so we don't recommend using one of these). If your dog flips out at the sight of a clipper, it might be time to switch to a dremel (more on this below). 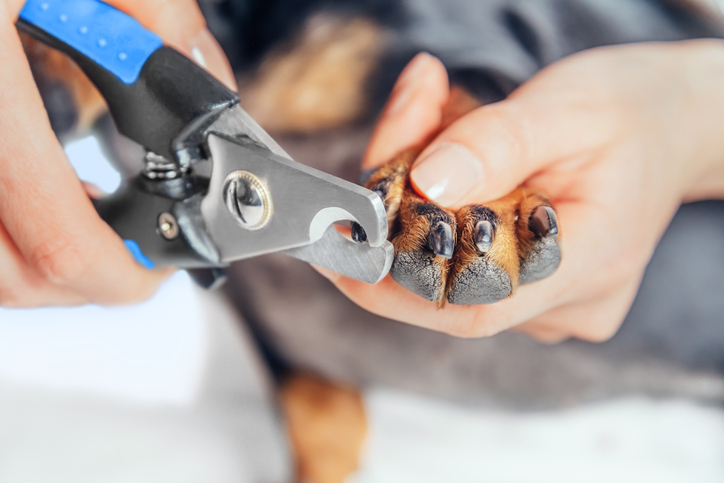 Unlike with a clipper, a dremel will allow you to literally remove millimeters off your dog's nails. This can be a great solution to the problem of bleeding. Dremels won't break or shatter nails. As a matter of fact, you can easily round nail edges with a dremel for a smooth appearance. If your main worry when clipping nails is hitting the quick, the dremel is not a foolproof solution. The quick lives inside the nail, and anytime you start cutting into the nail - whether it's with a clipper or a dremel - you do risk hitting the quick. If your dog doesn't like new noises, the dremel probably won't be for him. Additionally, a dremel causes vibrations that some dogs simply won't tolerate. Hold an electric toothbrush up to your dog's nail to see how he or she responds. If the reaction is adverse, avoid the dremel. When you sand, you create nail dust. This is not an issue health-wise but it can be irritating to the lining or your nose or your eyes, and of course creates additional clean up. 2. My dog won't hold still. What do I do? Whether you're using a clipper or a dremel, the reason your dog won't hold still is likely the same: you've pinched or even cut the quick. Due to the amount of nerve endings residing in the quick, this was a painful experience for him or her. One or two times of pinching the quick, and they'll quickly associate the glimmer of the clipper with pain. But your dog's nails have to be cut. So what's the solution? If you power through it, you’ll risk cutting into the quick even more. Therefore, take your time. 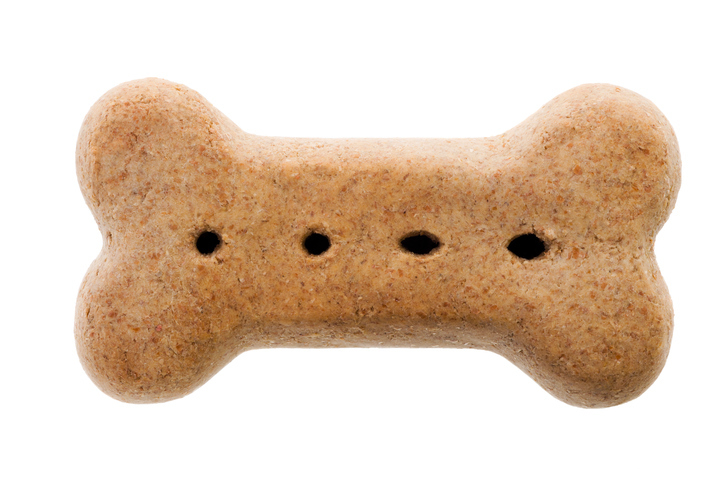 Cut only in very small increments, then reward your pup immediately with a treat. In the beginning, consider cutting only one nail before letting them wander off again. This doesn't breed bad habits, it breeds trust in the process. Your dog's nails don't grow at astronomical rates, so it’s not detrimental to take breaks. You'll be amazed at how quickly your dog becomes accustomed to the idea of nail trimming once the pressure is off. 3. My dog has black nails. How can I tell where the quick is? If your dog as white nails, it's very easy to tell where the quick ends. But black nails are completely opaque and hide the quick, making nail cutting an even more daunting task. Here's the thing about the quick: it's not always in the same place in the nail. The quick of your dog's nail actually recedes the more nail you cut off. 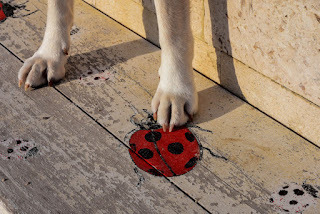 If your dog has long nails, the quick will almost reach the tip of the nail. So when cutting long nails, only cut off only a small increment. Once you’ve made the initial cut, the quick will begin to recede. If you wait a week, you won't notice much nail growth, but now is a good time to cut off a little bit more. Again, use only small increments. As this process continues, the quick will become shorter and you'll be able to cut down the nail to its ideal length. What is the ideal length of a dog's nail? The quick won't recede infinitely, which means that you're always at risk of nipping it if you go too short. Deciding the ideal length of your dog's nails is very easy. Are his nails touching the ground? If so, they're still too long. The pitter patter of puppy feet throughout the house should never turn to a clickety clacker. 4. How often should I trim my dog’s nails? Every dog's nails grow at different rates. Dogs that spend a lot of time taking walks outside, particularly on rougher terrain, will naturally have their nails ground down. Your dog's nails should always remain above the floor when he or she is standing up. Because the nail quick will protrude further into the nail the longer you wait in between trimmings, we recommend cutting off a bit each week. 5. My dog keeps bleeding when I cut his nails. Help! Cut the nails more frequently and cut the nails only in small increments. Cutting off small increments will greatly reduce the risk of cutting into the quick. Once the nail's been cut down a bit, the quick will actually recede a small amount. Use this to your advantage; don't wait until the nail is long again to cut off another small increment, rather keep trimming once a week. This helps the quick stay short. 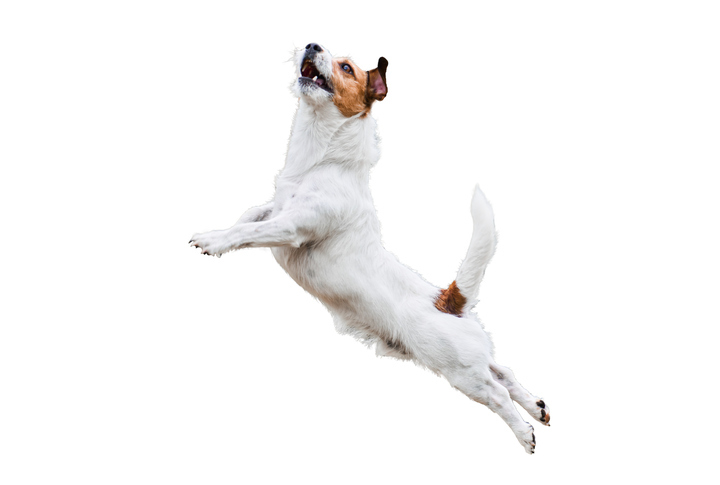 Your dog's nails only need to be short enough to stay off the ground. For most dogs, a small once-a-week trim is plenty.